I think Roboseyo or Fatman introduced me to this. We were on a mid-town street food excursion, when they said we had to try this HoDdeok 호떡 (pronounced HO-dock with a very hard /d/ bordering on a /t/). I like HoDdeok. My first impression of these sweet molten lava-stuffed fried goodies was that of New Orleans beignets. They just needed some powdered sugar and a cup of chicory-laced cafe au lait. There are increasing variations of these yeasty discs. With the “well-being” craze, we have seen oil-free ones cooked in non-stick enclosed iron pans (similar to the method for making takoyaki) and HoDdeok mixed with green tea powder. I still have an aversion to any bread product that is green. But the Insa-dong HoDdeok speaks to the southerner in me. 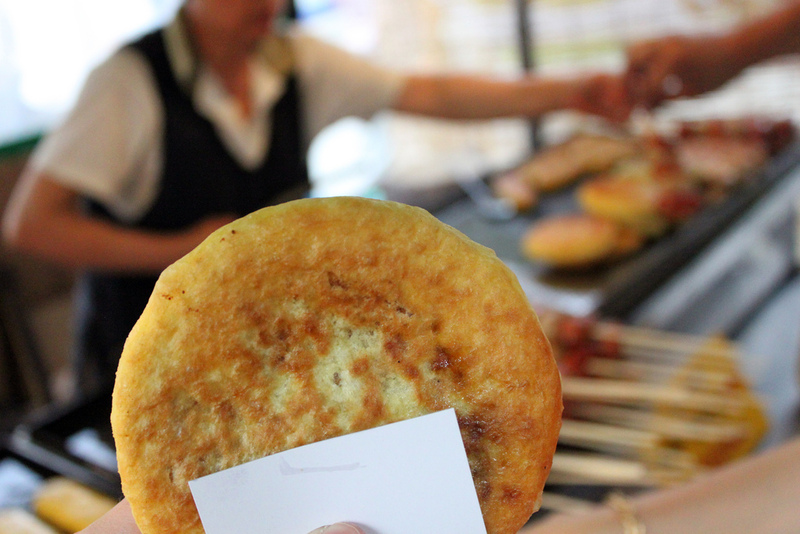 The yeast-risen wheat dough is mixed with corn meal to give it an extra crunch and nutty aroma, which is why there have been lines wrapped around two side-by-side Insa-dong HoDdeok stands in the winter. I’m tempted to call them Korean Hoe Cakes. It looks like this idea of incorporating corn meal in fried dough street food is spreading. I’m starting to see this in Myeong-dong, which is the incubator for Korean street food trends, where the tornado potato and takoyaki got their starts on the peninsula. My question is, where are they getting their hands on corn meal? That’s not a normal E-Mart staple.